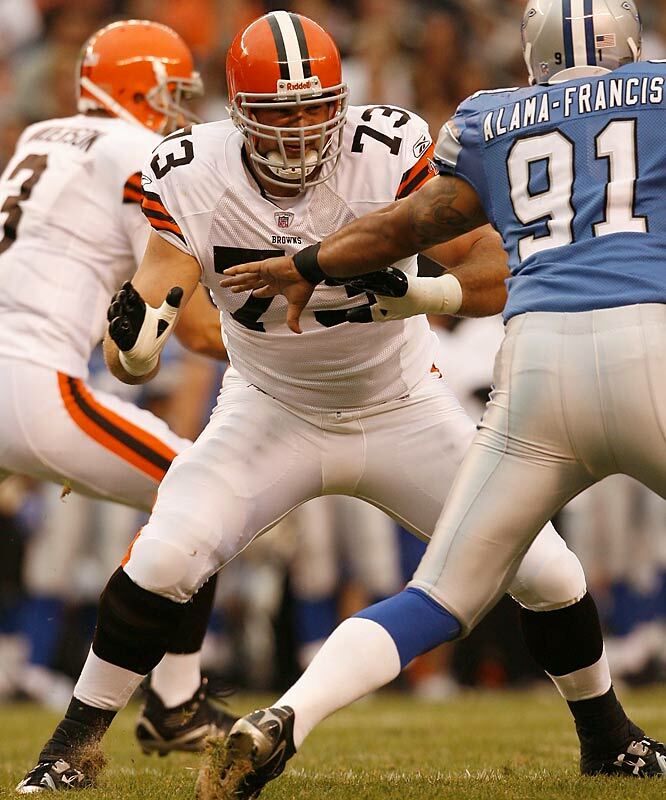 Joe Thomas as started every game for the Browns since opening day his rookie year. That streak, however, may be in jeopardy if his knee doesn't cear by Sunday. The Browns have a number of players listed as questionable for Sunday’s game against the Titans. The list includes a number of key contributors on offense, and a big-name on defense. 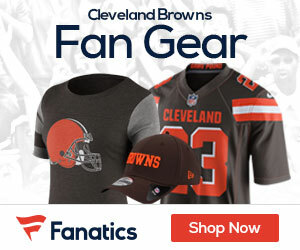 Cleveland’s secondary could be without starting corner, Sheldon Brown (groin). Brown’s streak of 147 consecutive games played is in jeopardy should he not be able to go. On offense, a number of key players were listed as questionable on Friday’s injury report. Receivers Joshua Cribbs (groin) and Mohammed Massaquoi (ankle) are both questionable. Cribbs was on the receiving end of the first McCoy’s first touchdown pass against Miami, while Massaquoi caught the game-winner. Offensive lineman, Tony Pashos (ankle), is looking to make his first start of the season on Sunday. The biggest name listed as questionable, is left tackle Joe Thomas, who has been hampered with a knee injury this week. Thomas has started every game over his 4-year career. Linebacker Titus Brown (ankle) and defensive back Eric Hagg (knee) are also listed as questionable for the Browns. After missing last week’s game with strep throat, running back Peyton Hillis is expected to go this week, as is linebacker Chris Gocong (groin) and wide receiver Carlton Mitchell (finger). For Tennessee, safety Chris Hope (shoulder) has been listed as probable. Linebacker Gerald McGrath (knee) has been listed as doubtful. The Browns host the Titans on Sunday (1:00 PM EST) at Cleveland Stadium. If Mitchell plays and gets balls, then there would have to be decisions made as how to use Robi . . . Personally, I think it’s time to part ways with Robo. We’re three games into the season, and he’s yet to record a reception. I think he has the potential to be a marginal NFL receiver at best, but I think he was kept on the team mainly for his blocking. However, I think with the emergence of rookie Greg Little, there’s really no need for Robiskie to even see the field. I would’ve liked to of seen the team cut Robo, and sign Donnie Avery. Unlucky for Cleveland though, Avery signed a 1-year deal with the Titans this week, and could torch the Browns this weekend with his 4.3 speed.